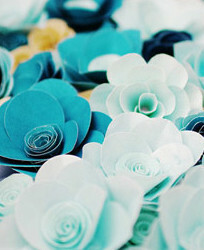 Happy Monday, all! 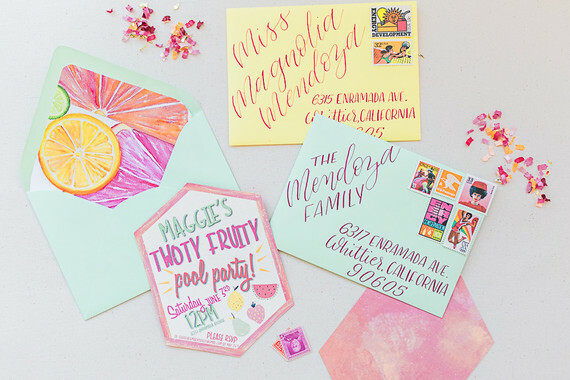 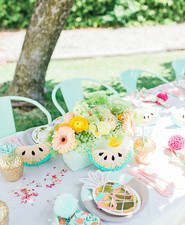 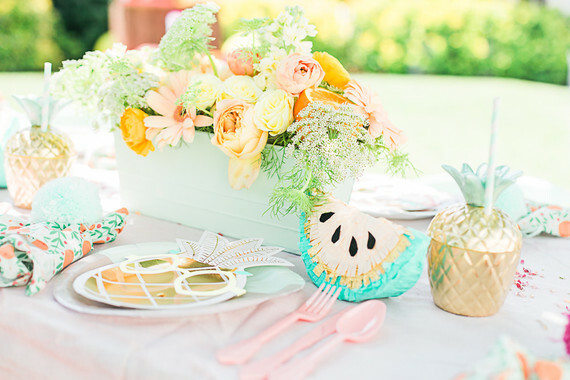 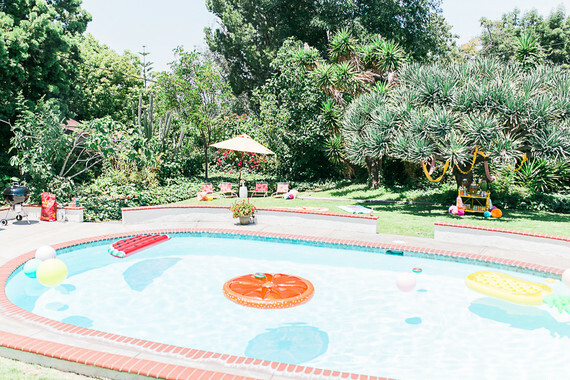 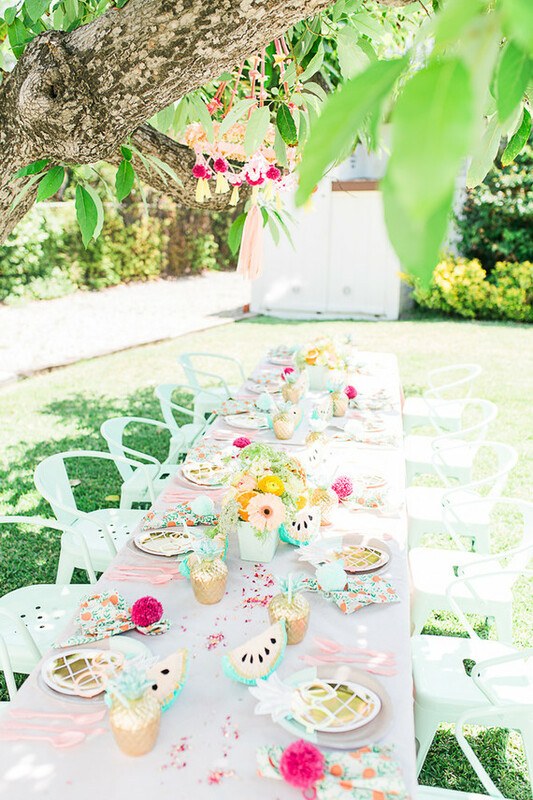 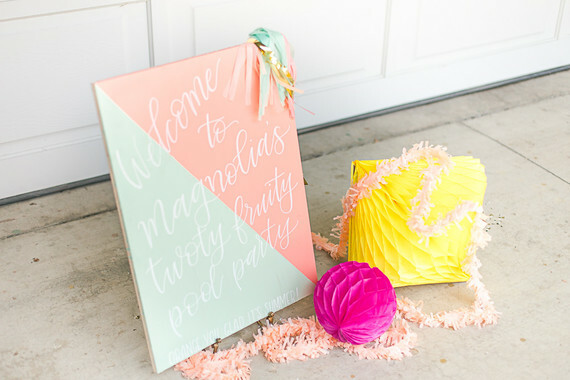 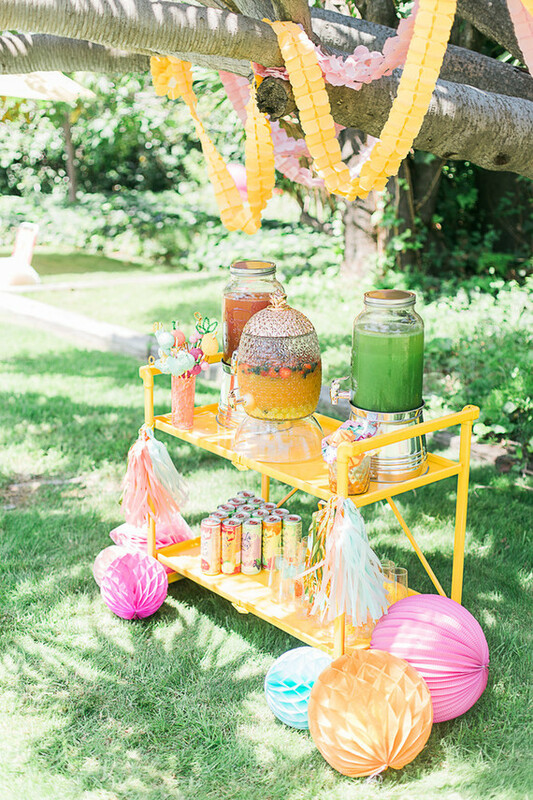 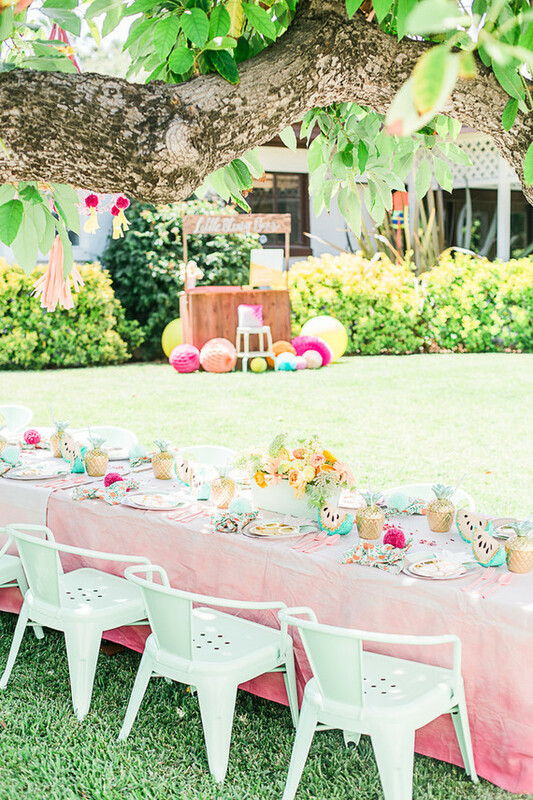 What better way to kick off another hot July week than with a bright and festive poolside bash for a little lady named Magnolia? 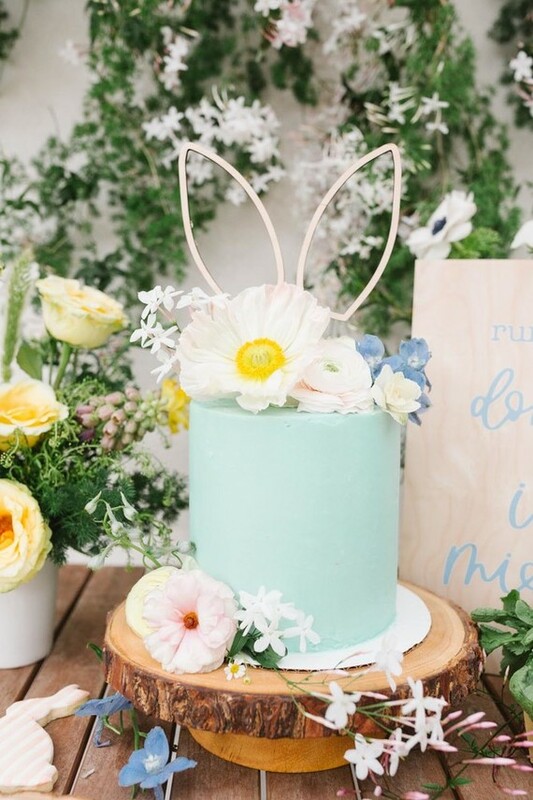 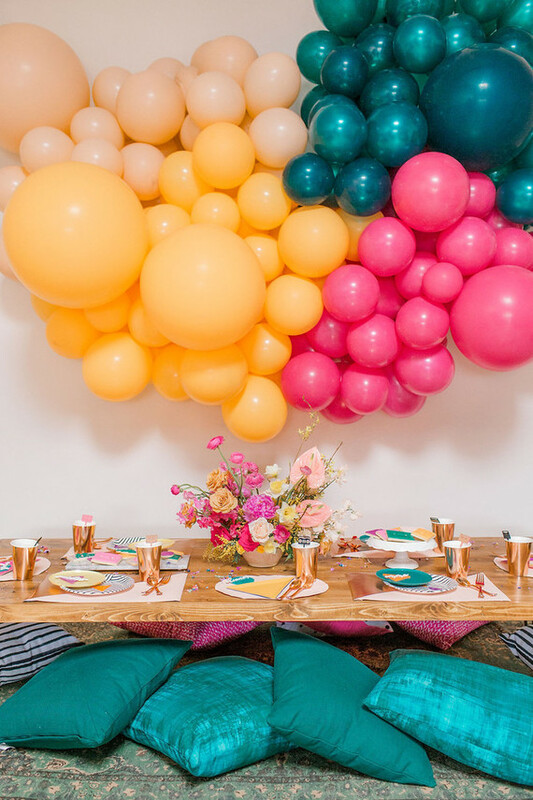 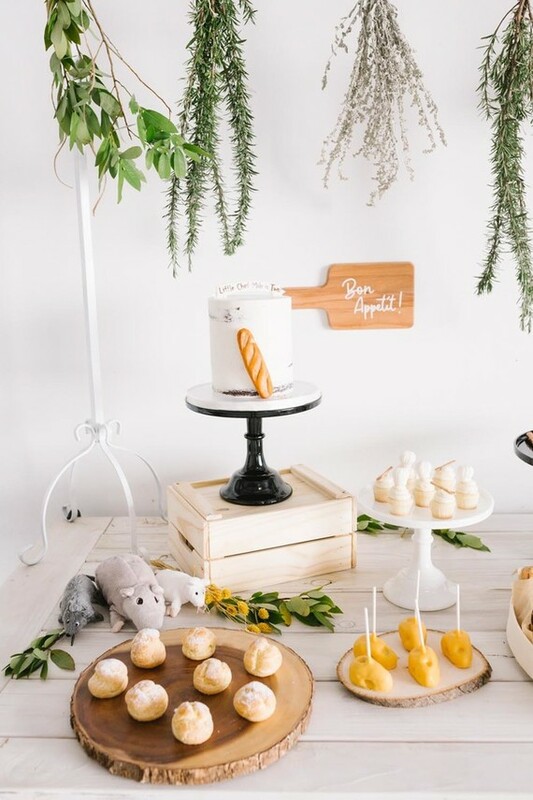 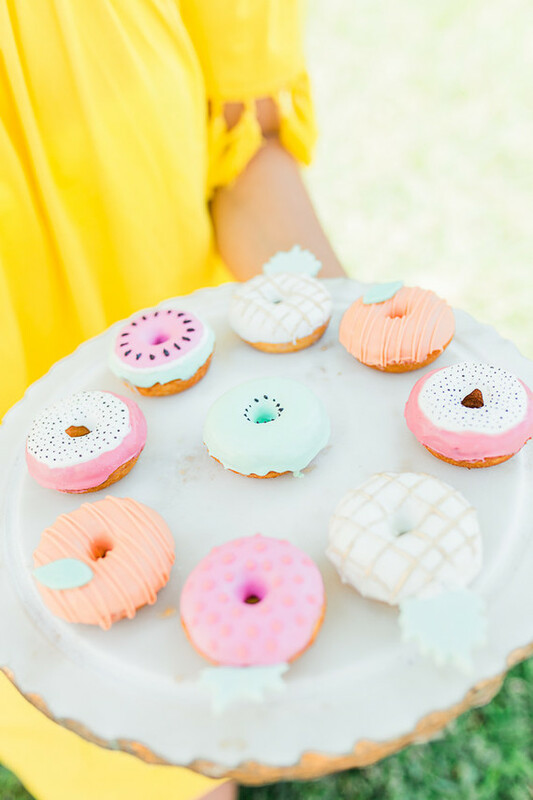 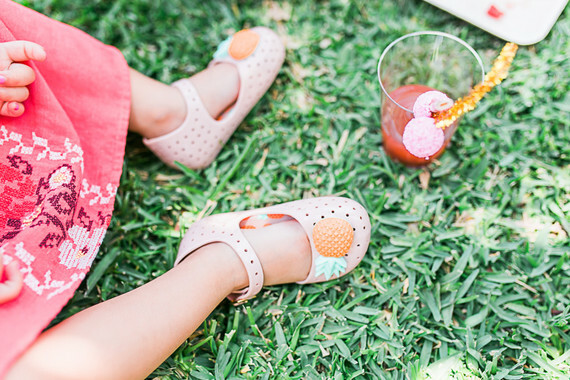 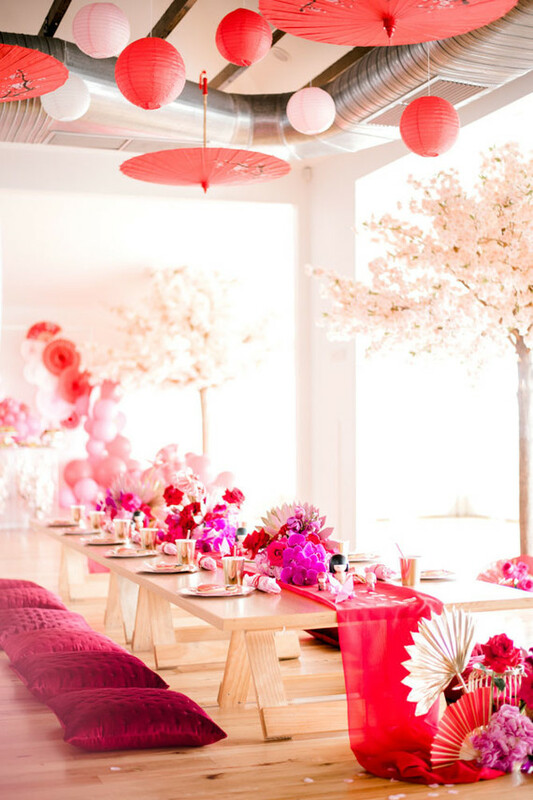 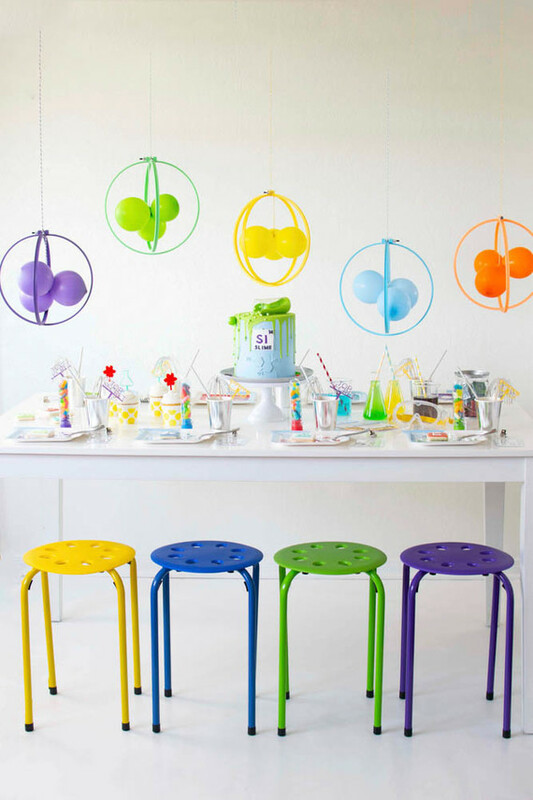 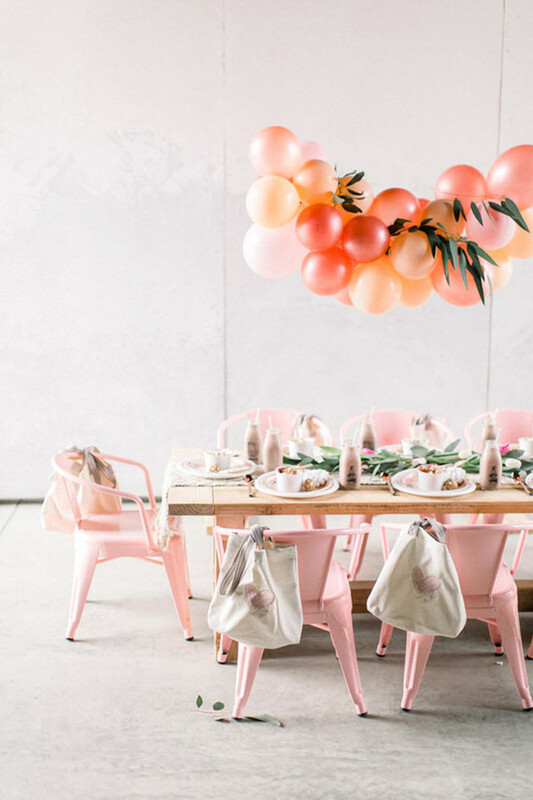 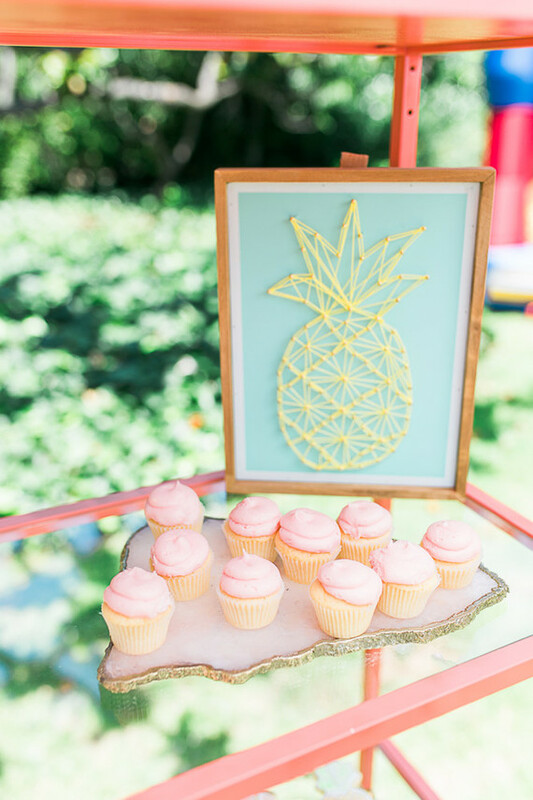 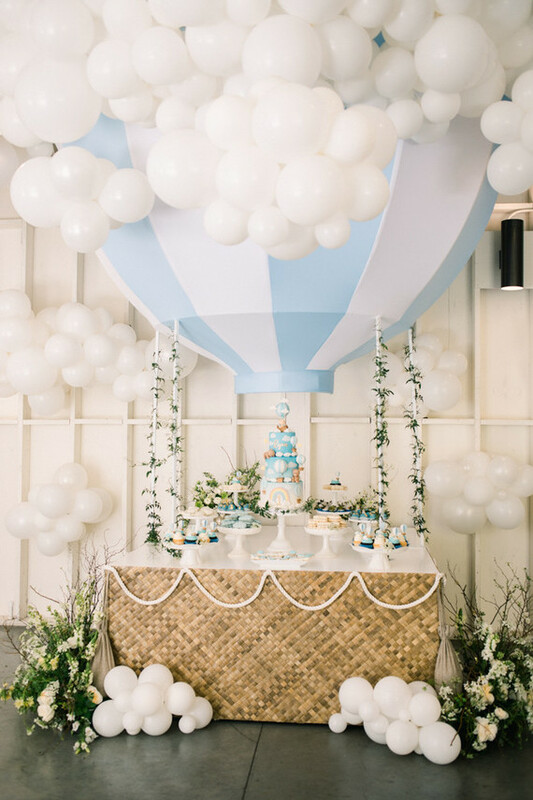 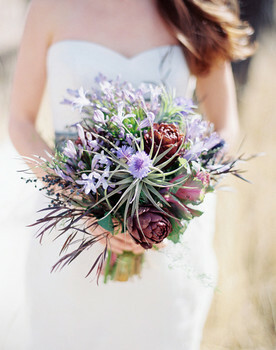 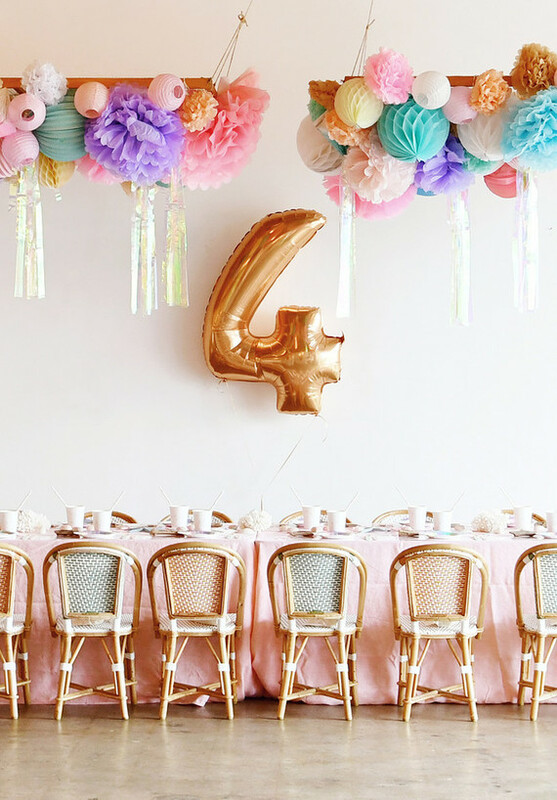 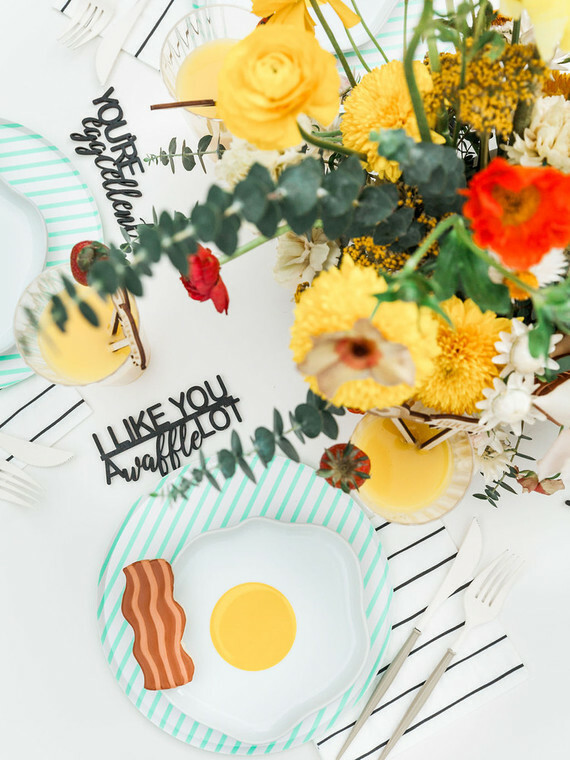 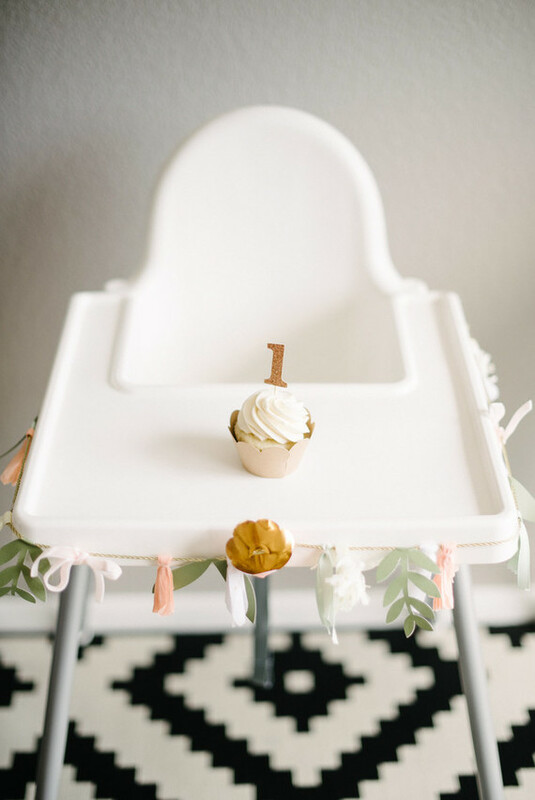 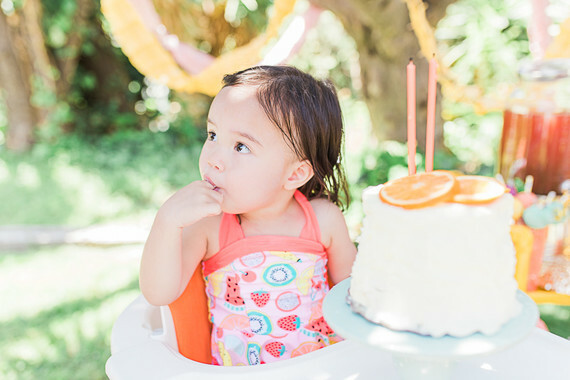 This Two-ti Frutti 2nd birthday that Jacqui of Deets & Things and L & B Photography sent our way is filled to the brim with enough DIY project to last all you party planners the rest of the season. 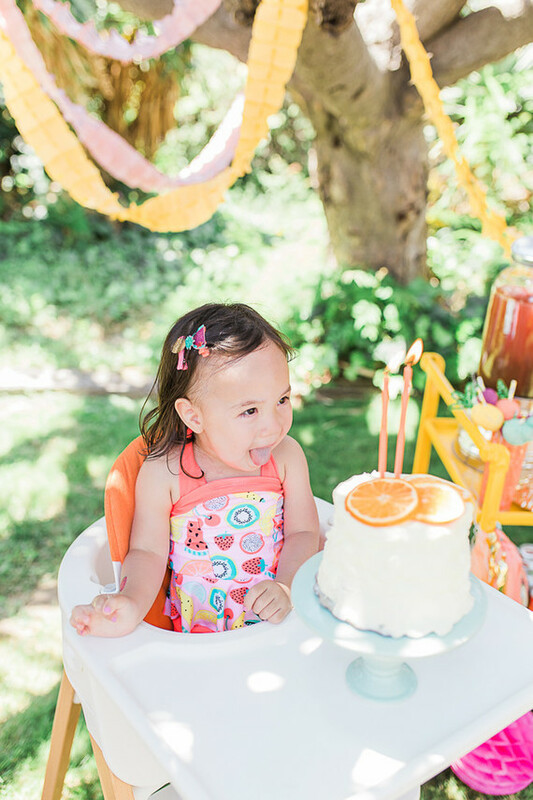 Not to mention they’re all the cutest! 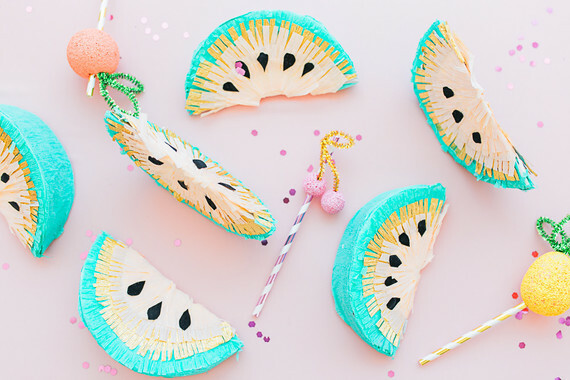 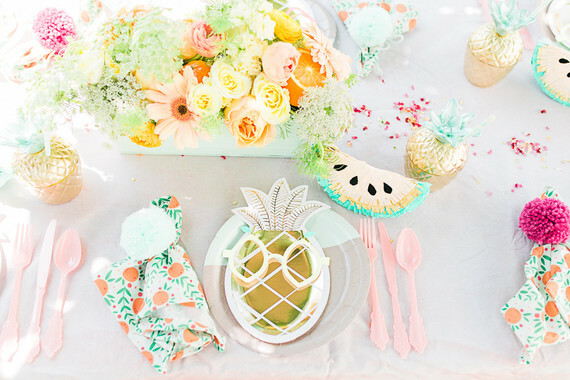 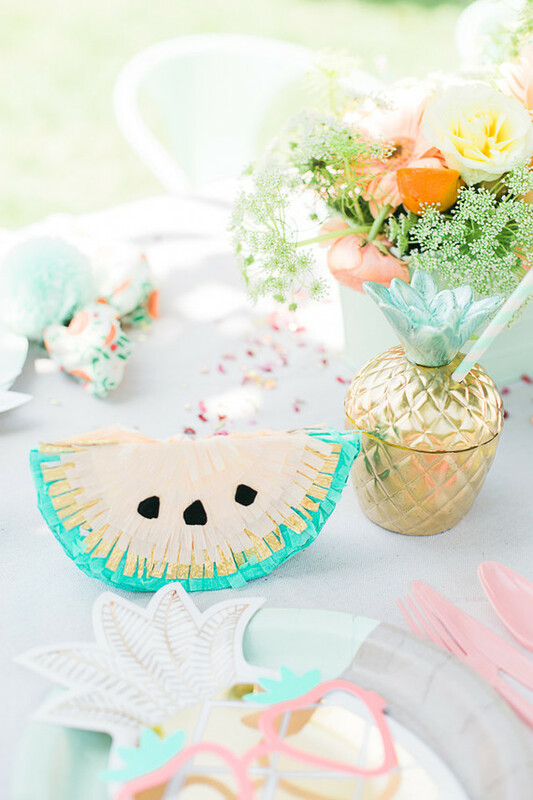 Jacqui whipped up the summery napkins with a floral fabric and made mini watermelon piñatas favors that she filled with fruit snacks. 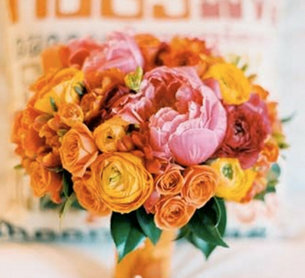 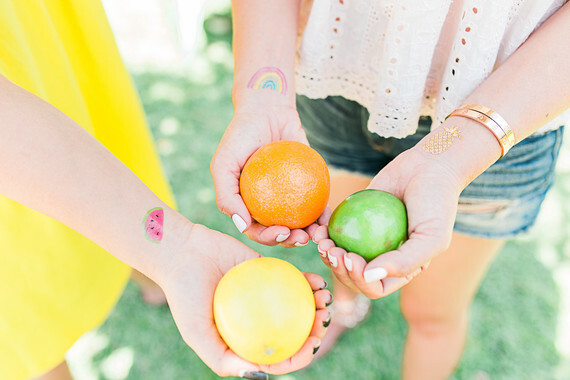 Major props on those cuties! 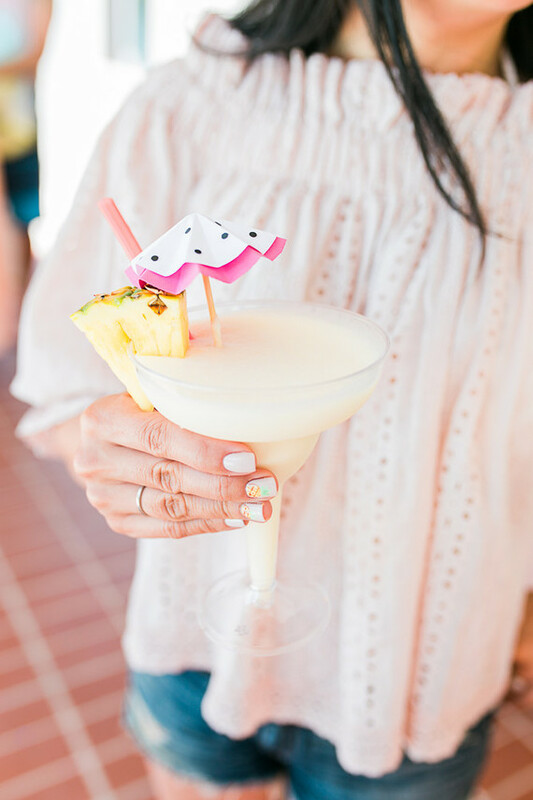 Can you spot the festive pineapple nails? 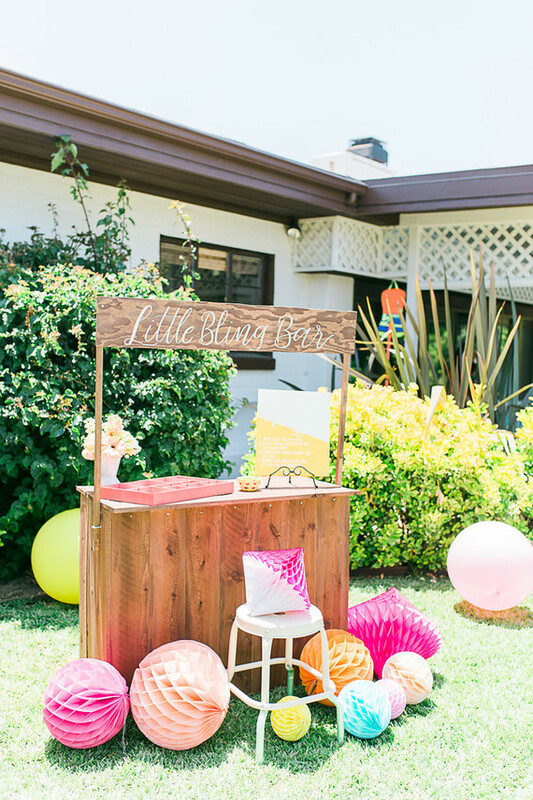 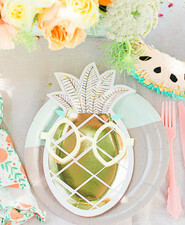 Then there’s this super fun DIY ‘bling bar’ for the littles to grab tropical temporary tats. 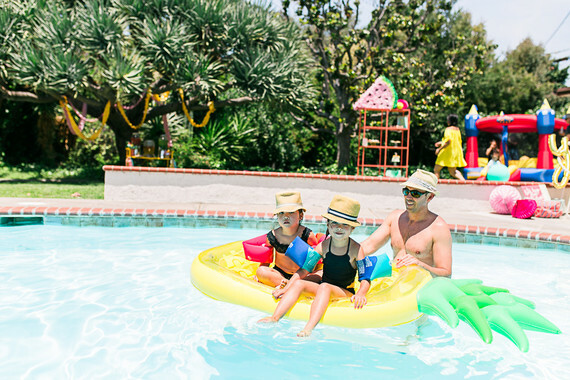 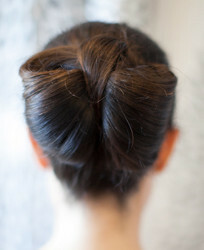 Such a good alternative to face painting for kiddos that will be in and out of the pool all afternoon. 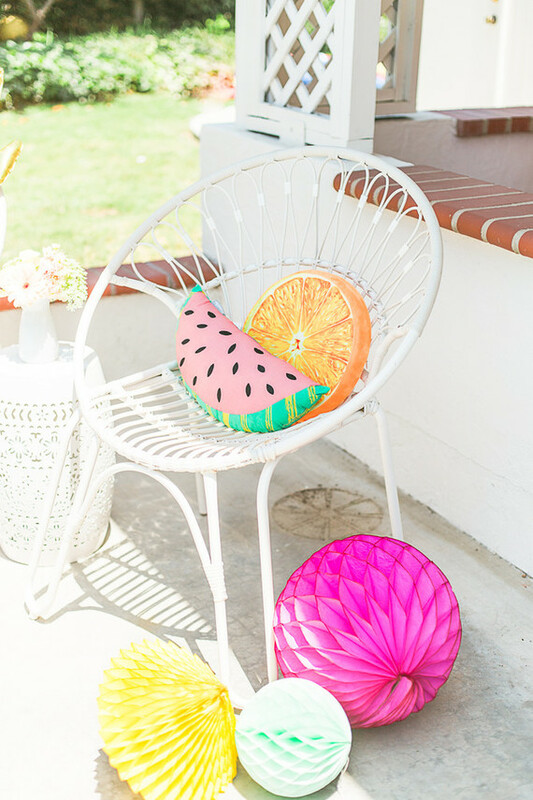 Even these chairs were revamped with new fabric for the occasion! 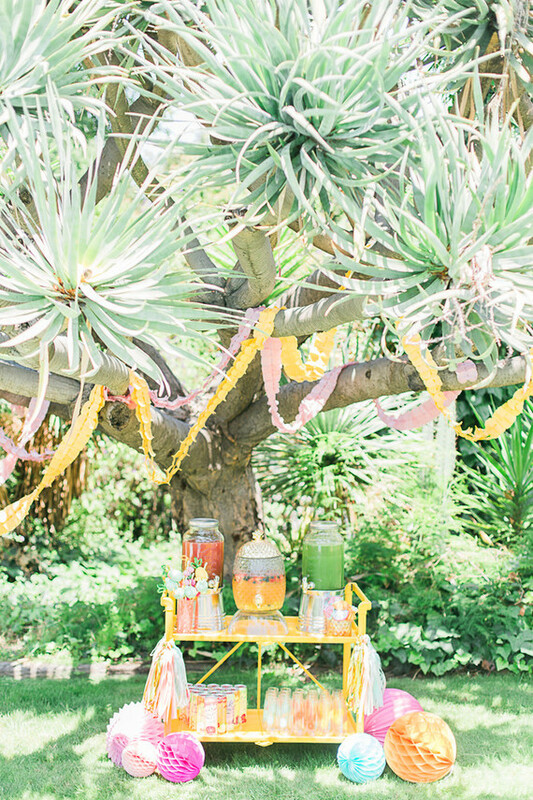 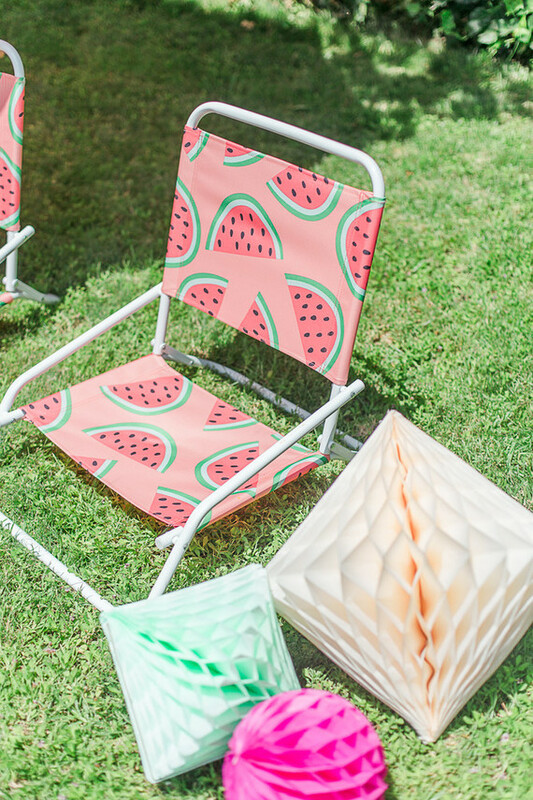 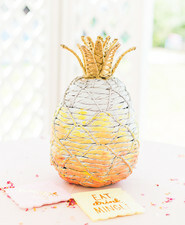 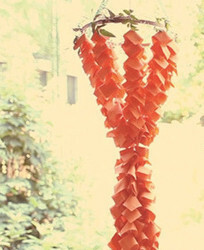 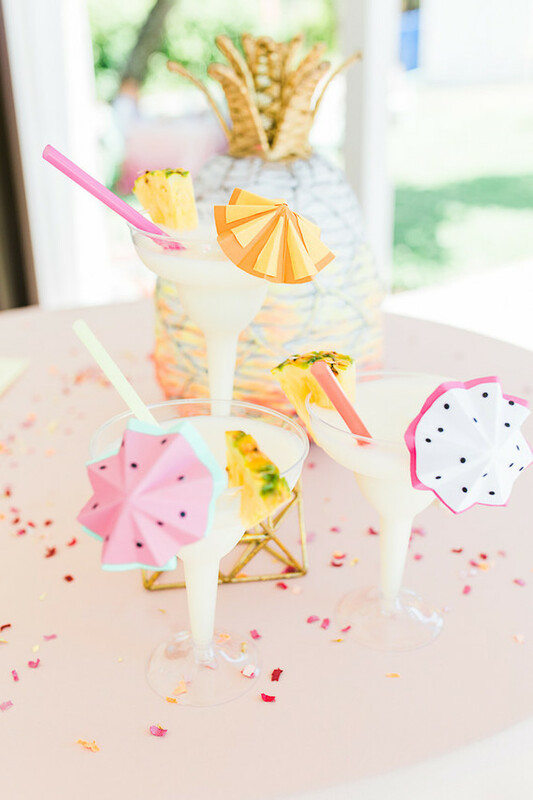 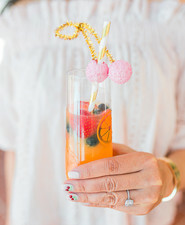 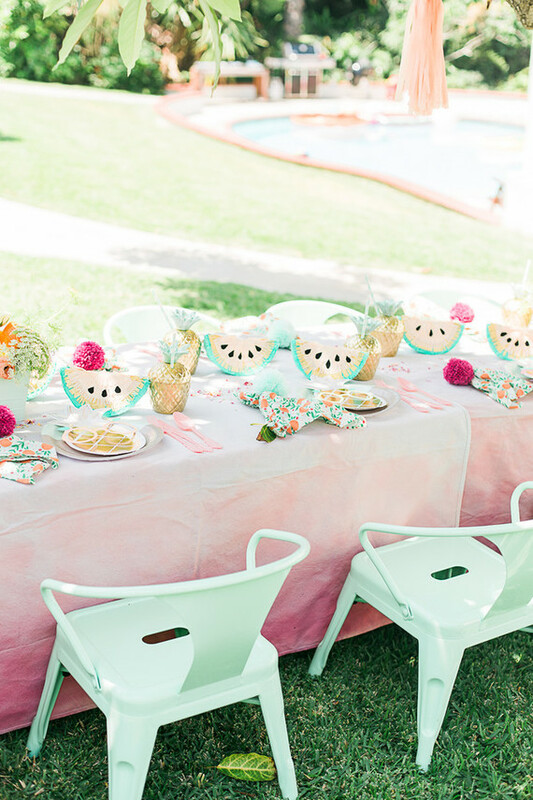 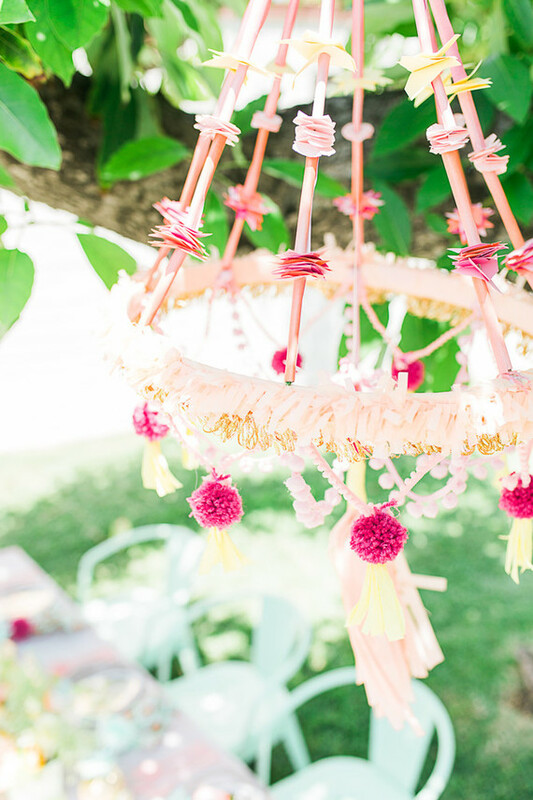 And the grownups in attendance sipped on sangria and piña coladas jazzed up with DIY fruity umbrellas. 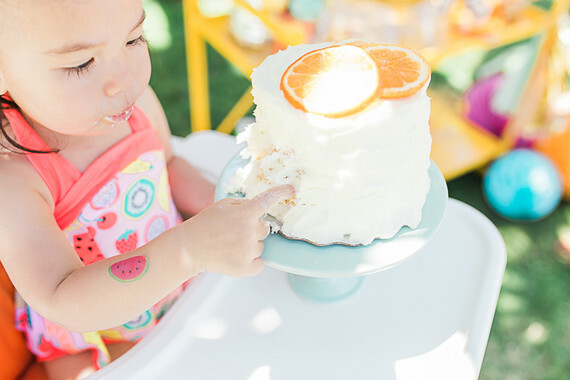 Pretty much how we feel about cake, too, Maggie.